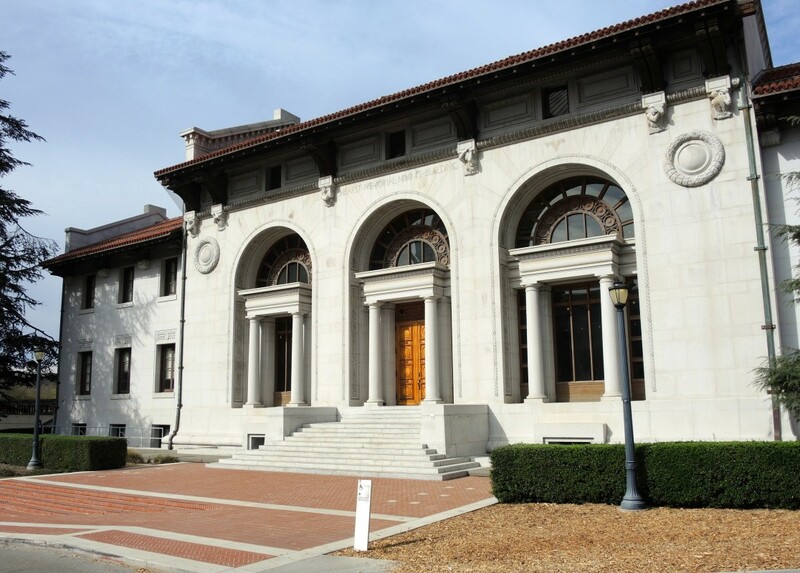 In 1899 Berkeley was still a young university when Phoebe Apperson Hearst, George’s widow and a new regent, sponsored a global competition for an architectural master plan for the campus. Over 100 architects submitted entries, but the winner, Emile Benard of Paris, chose not to accept the commission (though he did accept the prize money). Hearst then chose John Galen Howard of New York as chief architect of the campus, a job he retained for 30 years. Howard disregarded Benard’s plan, opting instead to merge his own ideas with those of Frederick Law Olmstead, who had drafted an earlier plan (1866) for the university. Howard’s vision, like Olmstead’s, was to situate the campus along Strawberry Creek, and develop a corridor of lawn and plantings (the Central Glade) to emphasize the natural setting, and take advantage of the view to the Golden Gate Straits (before the Golden Gate Bridge). The HMM Building is located at the eastern end of the Central Glade, and was the first classroom in the master plan to be constructed (1902-1907). Howard’s design mixed Mediterranean and California Mission styles in a Beaux-Arts building, adding mining details. In the main atrium, soaring 50-foot ceilings contain skylights and vaulting that recall the hollowing out of a mountain. The steel girders and balcony latticework suggest the timber supports of a mining shaft. The design was partly inspired by the reading room of the Bibliotheque Nationale in Paris. Inside the HMM, halls are lined with historic 19th century prints by Carlton Watkins. Watkins, a San Francisco photographer, captured the beauty and the degradation of the mining landscape. The 1906 earthquake destroyed many of Watkins’ original photographic plates, making these photographs unique and valuable. In 1907 mining was a popular major among the 2,200 students at Cal (there were 247 mining majors that year). 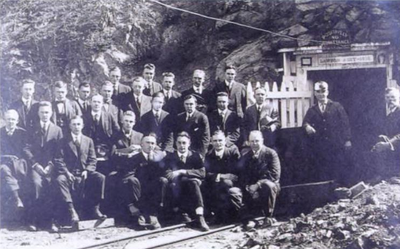 The Department offered aspiring miners practical experience as well as teaching and theory. Thus this building included smelters, rock crushers, drill rigs, and a tunnel where students could practice digging and using dynamite. The tunnel, known as the Lawson Adit, extended as much as 900 feet into the Hayward Fault before cave-ins and instability made further exploration unsafe. By 1939 the tunnel was filled in with concrete, leaving only a 200-foot remnant for examination. Today the Lawson Adit is fenced and locked against curious students and visitors. However, in 2014 the Engineering Department inserted sensitive measuring equipment near the fault to monitor seismic activity. Today the HMM houses the Materials Science and Engineering departments.